Britain's State Secretary for Foreign and Commonwealth Affairs Boris Johnson attends an informal meeting of European Union Ministers of Foreign Affairs in Tallinn, Estonia September 7, 2017. LONDON - British foreign minister Boris Johnson was criticized by government colleagues and statisticians this weekend after he repeated the contentious claim that Britain would be 350 million pounds ($476 million) a week better off after Brexit. The figure had been a central part of the Johnson and the Leave campaign’s “let’s take back control” message, with suggestions that the money could instead be used to fund state healthcare, although that pledge was quickly abandoned by other prominent campaigners immediately after they won the referendum. David Norgrove, of the UK Statistics Authority, said he was “surprised and disappointed” that Johnson was still quoting a figure that confused gross and net contributions. “It is a clear misuse of official statistics,” Norgrove said in a letter to Johnson on Sunday. He said the number quoted did not include the rebate that Britain receives from the EU, not did it include payments from Brussels to support agriculture and scientific research. 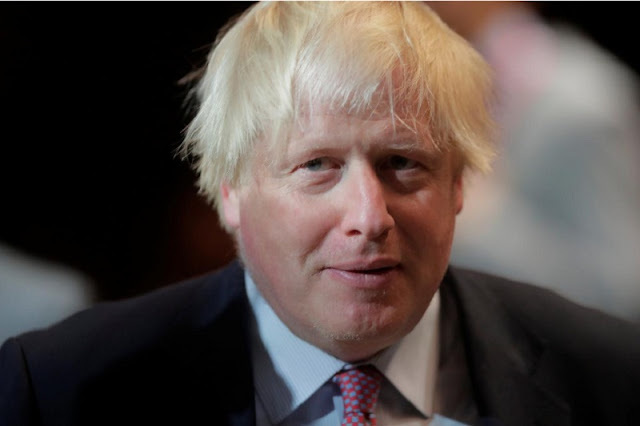 Johnson, whose carefully tussled blonde hair and apparent bumbling manner has made him one of Britain’s most recognizable politicians, had mentioned the figure again in a Saturday newspaper article that laid out his vision for post-Brexit Britain. Figures published by the Office for National Statistics in April 2016 showed Britain’s weekly net contribution to the EU to be about 190 million pounds a week. British foreign minister Boris Johnson was criticized by government colleagues and statisticians this weekend after he repeated the contentious claim that Britain would be 350 million pounds ($476 million) a week better off after Brexit.